Is there a better alternative to IFSLab? Is IFSLab really the best app in Mathematics category? Will IFSLab work good on macOS 10.13.4? 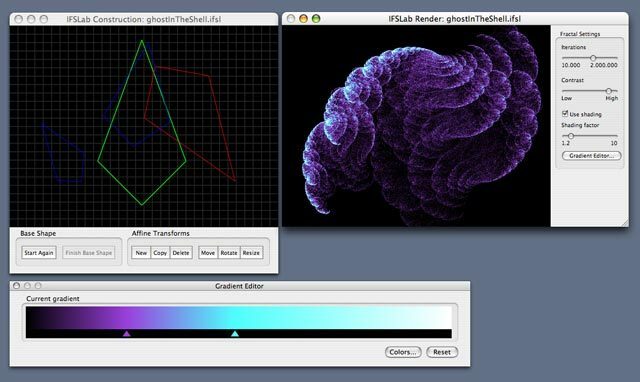 IFSLab is an extremely easy way of creating beautiful and sophisticated IFS fractals. Rather than having to deal with complicated math, you just define a simple master shape, clone it a few times, resize/remove/reposition the clones and watch in realtime how your IFS fractal develops. IFSLab needs a rating. Be the first to rate this app and get the discussion started!